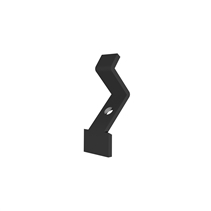 COLSBRA is an adjustable bracket for the Apart column speakers (COLS41, COLS81 and COLS101). 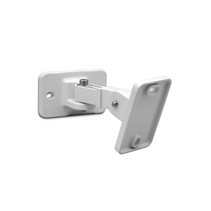 This item is available as a separate accessory, and allows easy tilting and turning of the column speakers.Sprocket hinges make sure the speakers stay in the angle the installer positioned them in. The sprockets are fastened with allen screws. The brackets are made of die cast aluminum, and the allen screws are out of stainless steel. In combination with the aluminum of Apart’s column series this is your 100% rust free solution for in- and outdoor use! COLWBRA is an adjustable bracket for the Aart column speakers (COLW41, COLW81 and COLW101). 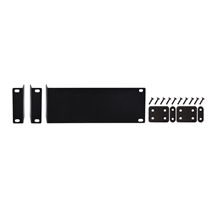 This item is available as a separate accessory, and allows easy tilting and turning of the column speakers.Sprocket hinges make sure the speakers stay in the angle the installer positioned them in. The sprockets are fastened with allen screws. 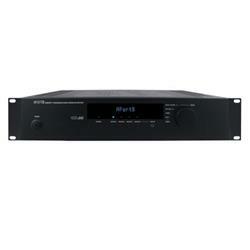 MA3060-19 is a detachable 19” mounting kit for the Apart MA30 and MA60 mixing amplifiers. The components are made of sturdy metal and are painted black. 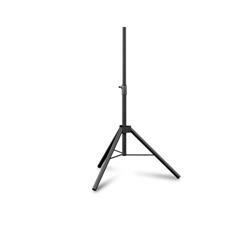 The MA35-19 is a detachable 19” mounting bracket for the Apart MA35 and MA65 mixing amplifiers. 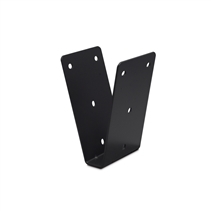 The bracket is made of sturdy metal and is painted in black. 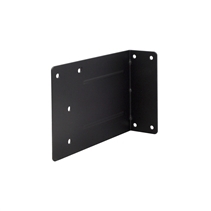 This wall bracket can be used with our MASK12 speaker or other compatible speakers up to 40 kg. To install the MASK12 speaker on the bracket, remove the center M10 bolt from the bottom of the speaker. 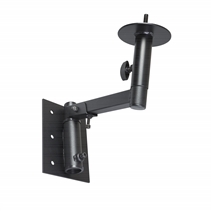 Attach the pole mount (supplied) securely by fastening the mount on the speaker.The speaker arm can be swiveled over a 180° angle from left to right and can be tilted down up to 20° by turning the tilt screw. 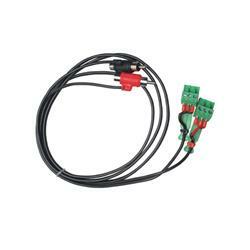 The special U-bracket MASK12BRA is designed with the installer in mind and is therefore provided with an opening to hook up the MASK12 loudspeaker. The cabinet has fixation bolds already pre-mounted what allows the installer to hang the cabinet into the bracket easily. No more searching and fizzling when he is on top of his ladder. This special mounting system allows the installer to mount the loudspeaker in the correct position without worrying of the speaker falling down despite the 19kg weight of the loudspeaker. 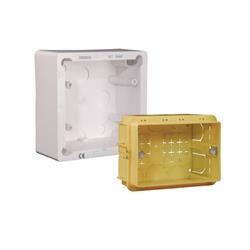 The MASK2CMT bracket combined with the MASK2 bracket makes it possible to install the MASK2 loudspeaker on the ceiling.This small metal extension piece can be installed upon the existing MASK2 wall mount. The additional piece is an extension on the original bracket to allow ceiling mounting. A lot more inclination of your MASK2 speaker mounted on the ceiling will be possible with the MASK2CMT! The MASKCL bracket combined with a MASKC ClickMount bracket makes it possible to install a MASK4C or MASK6C loudspeaker in a full 90° angle. 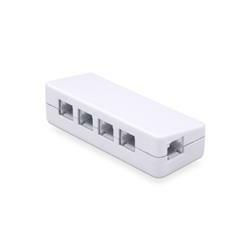 This is a handy feature for installation in churches, auditoria,…The L-brackets are custom-designed to fit the base of the MASK4C/MASK6C ClickMount bracket, and guarantee a perfect installation. 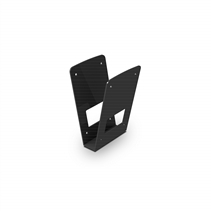 The MASKCV bracket can carry two MASK4C or two MASK6C loudspeaker of the same size and weight at an 180° angle from each other.It is custom-designed to fit the base of the MASK4C / MASK6C ClickMount brackets, and allows the installer to fix the speakers in any spot necessary to obtain the ideal sound dispersion. 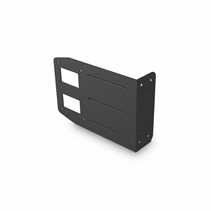 The MASKCW bracket can carry four MASK4C or MASK6C loudspeakers of the same size and weight at an 90° angle from each other.It is custom-designed to fit the base of the MASK4C / MASK6C ClickMount brackets, and allows the installer to fix the speakers in any spot necessary to obtain the ideal sound dispersion. 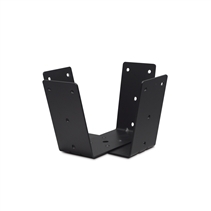 The MASKL bracket combined with a MASK bracket makes it possible to install a MASK4 or MASK6 loudspeaker in a full 90° angle. 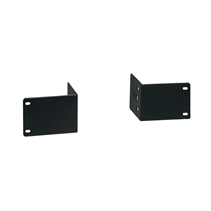 This is a handy feature for installation in churches, auditoria,…The L-brackets are custom-designed to fit the base of the MASK4/MASK6 Intelli-Mount brackets, and guarantee a perfect installation. 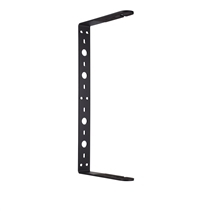 The MASKV bracket can carry two MASK4 or two MASK6 loudspeaker of the same size and weight at an 180° angle from each other.It is custom-designed to fit the base of the MASK4 / MASK6 Intelli-Mount brackets, and allows the installer to fix the speakers in any spot necessary to obtain the ideal sound dispersion. 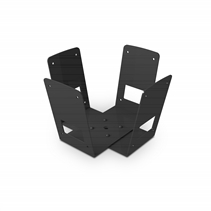 The MASKW bracket can carry four MASK4 or MASK6 loudspeakers of the same size and weight at an 90° angle from each other.It is custom-designed to fit the base of the MASK4 / MASK6 Intelli-Mount brackets, and allows the installer to fix the speakers in any spot necessary to obtain the ideal sound dispersion.